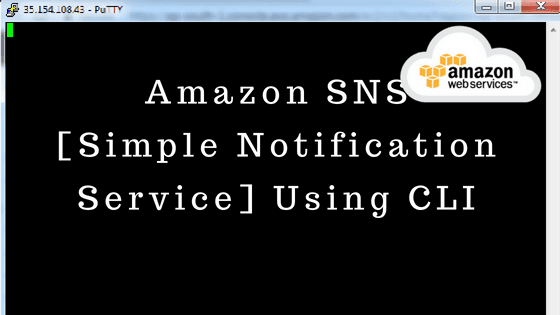 SNS means Simple Notification Service. It provides robust messaging service for web applications. It is a versatile messaging service which can deliver message to any devices also to send notification to different AWS resources. 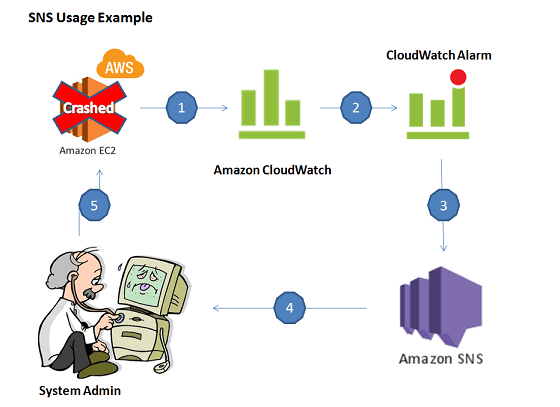 SNS offers 'push' messaging service which is based on publisher subscriber model that means multiple publishing application can to communicate with multiple subscribing application using AWS SNS. 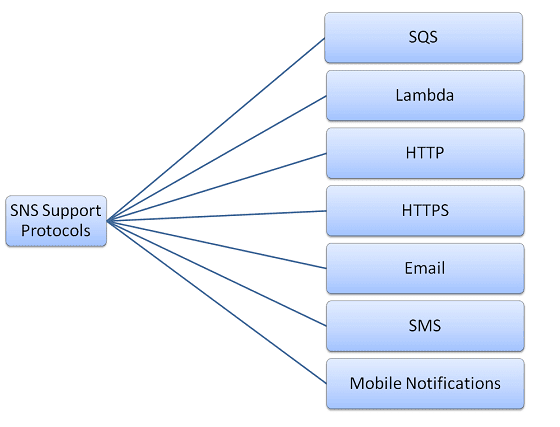 It supports multiple transport protocols that are Amazon SQS, Lambda, HTTP, HTTPS, Email, SMS and Mobile Notifications. It contains subject and content event each topic has unique identifier [ URI ]. URI identify the SNS endpoint to publishing and subscribing for messages related to particular topic. They are the belongs the client, end users, applications, services that wants to receives notification on specific topic. Single topic can have multiple subscribers. Save this ARN for future reference or usage. Once we execute above command it will send confirmation email on that email ID and they need to confirm subscription by clicking on confirmation link then only publisher can send emails to subscriber. >> aws sns publish --topic-arn EnterTopicARN --message "This is test message..."
This will send email to all subscribers who subscribed this "pg-topic" topic and you can also confirm this from AWS management console by clicking on menu SNS. Happy Learning AWS Services!!!! :) Still Doubts? lets put your questions in below comment box! Thanks!